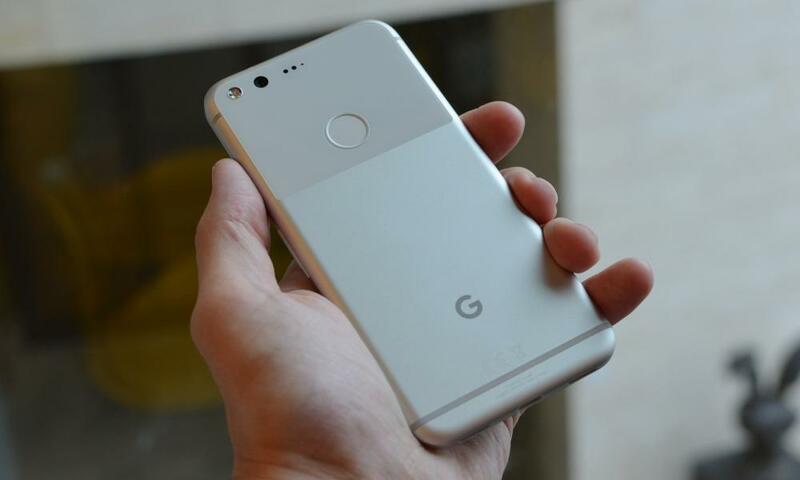 Google has finally launched an own-brand smartphone, the Pixel, to challenge Apple head on and provide a premium Android experience with the hardware tailored to the software by the people who actually make it.. 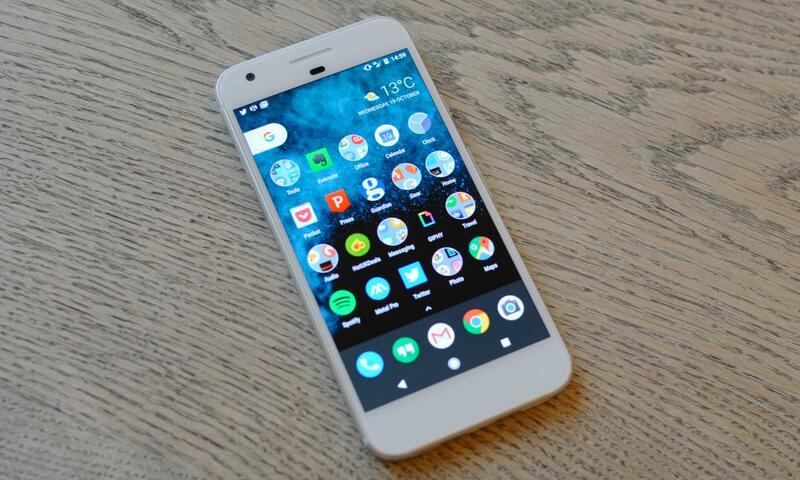 The new smartphone succeeds Google’s Nexus line of devices and the company claims that the Pixel is now 100% Google, unlike the Nexus devices where Google provided the software and had some input into the devices but not total control. The Pixel phone joins the Pixel C Android tablet and Chromebook Pixel as Google’s first in-house devices. But for Google, the Pixel isn’t just a smartphone, it’s a referendum on whether Google as a brand sells. 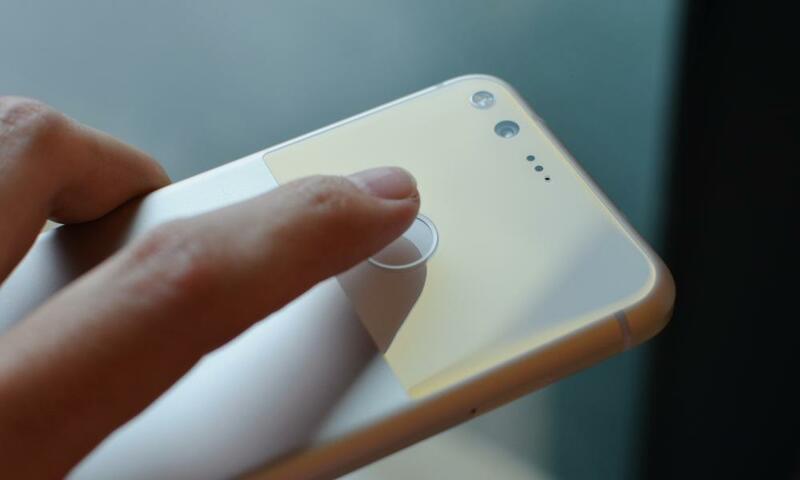 With an all-metal body, all-glass display, rock-solid build, fingerprint scanner and headphones socket, the Pixel ticks most of the boxes expected of top-end smartphone, except for a lack of waterproofing. It’s slightly different looking too, with a glass panel covering the top third of the back and a wedge-shape that’s thicker at the top and hides any camera lump. How attractive it is as a design divides opinion. The Pixel feels great in the hand, with nicely curved edges and flat sides that make it easy to grip and hold on to. It’s also not too thick, with the wedge shape meaning the bit you hold is thin and has good weight distribution. 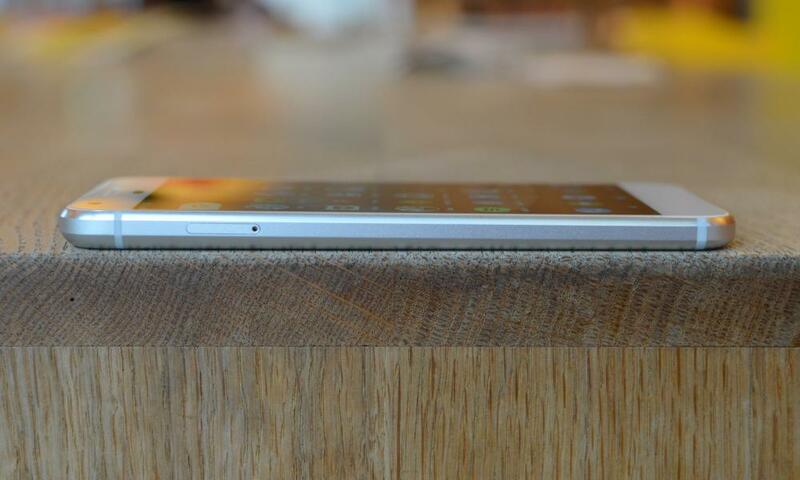 At the Pixel’s base it is 7.3mm thick and it weighs 143g. In comparison to the competition, namely Apple’s 7.1mm thick, 138g iPhone 7 and Samsung’s 7.9mm thick, 152g Galaxy S7, the Pixel is right in the middle. It’s thinner than last year’s 7.9mm thick Nexus 5X and but 7g heavier. 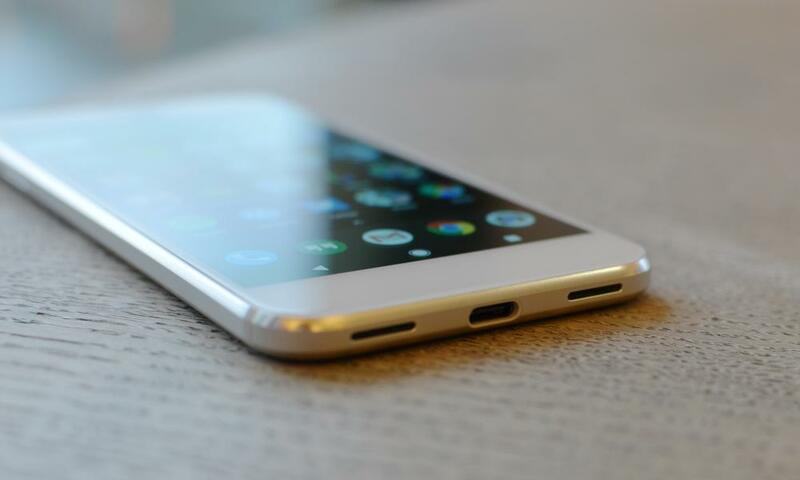 The Pixel has a 5in full HD AMOLED screen on the front, which makes it one of the smaller premium smartphones available, with most others having 5.1in or larger screens. The display is crisp and vibrant, with deep blacks and excellent viewing angles. It’s relatively easy to read in direct sunlight too, making it one of the best displays fitted to a smartphone, although not quite as good as Samsung’s best. 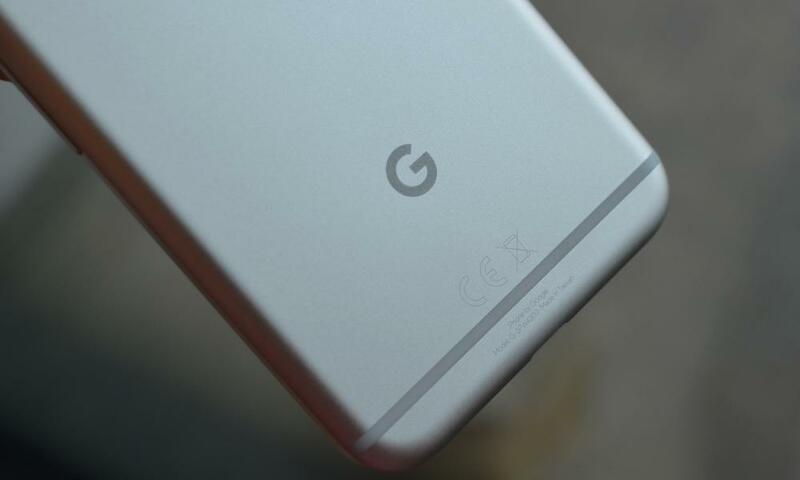 The Pixel is one of the first handsets to use Qualcomm’s new Snapdragon 821 processor, which is essentially a tweaked version of the 820 found in the OnePlus 3 and other smartphones. Performance is not an issue. From Prisma images to graphically intensive games, the Pixel chewed through everything I threw at it, which you’d expect for a £600 smartphone. 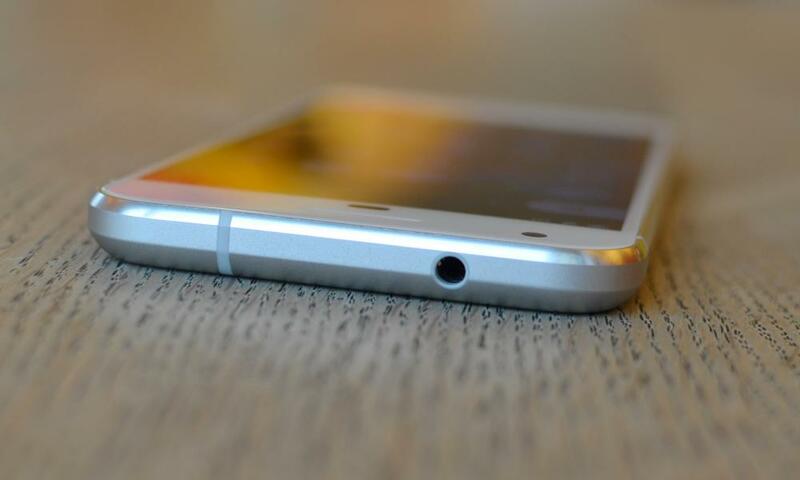 It’s one of the most powerful Android smartphones currently available. It’s well optimised, snappy, fast and, perhaps most impressively, it doesn’t get that hot when under load. Most smartphones heat up considerably when downloading a lot of data, such as when setting up a phone, but the Pixel didn’t. It also ran games such as Dan the Man without heating up in the slightest, where last year’s Nexus 5X became noticeably hot. The Pixel is also the first smartphone to be certified for use with Google’s new DayDream virtual reality platform. Whether that means anything in reality will depend on how successful Google’s latest push for VR ends up being. It’s not yet available, so how it performs is still unknown. Using the Pixel as my primary device, it lasted just over 24 hours without charging, managing three hours of app usage and browsing, hundreds of emails and push notifications, a couple of photos, five hours of music over Bluetooth headphones and the odd game of Dan the Man during my one hour and 20-minute train commute to and from work. It means you’ll get through a day and a night out, but you’ll have to charge it overnight or it’ll most likely be dead before you get to work the next day. The Pixel has fast charging through USB-C’s power delivery specification, not Qualcomm’s QuickCharge or any other accelerated charging system. A full charge from completely flat took one hour 45 minutes, reaching 25% capacity in about 15 minutes, 40% in 25 minutes and 66% in about 50 minutes. It’s not the fastest charging smartphone available, but it’s considerably faster than Apple’s iPhone 7. The Pixel comes with the latest version of Android 7.1 Nougat and is the first smartphone to do so. Most other smartphones are still running Android 6 Marshmallow, let alone version 7 or 7.1. Android 7.0 Nougat introduced some solid battery and time-saving features, which are all present on the Pixel. Google’s version of Nougat 7.1 introduces a few more new and useful things including the ability to block visual alerts when do not disturb is activated, such as the flashing LED notification light – handy for those that charge their smartphone overnight next to their heads. 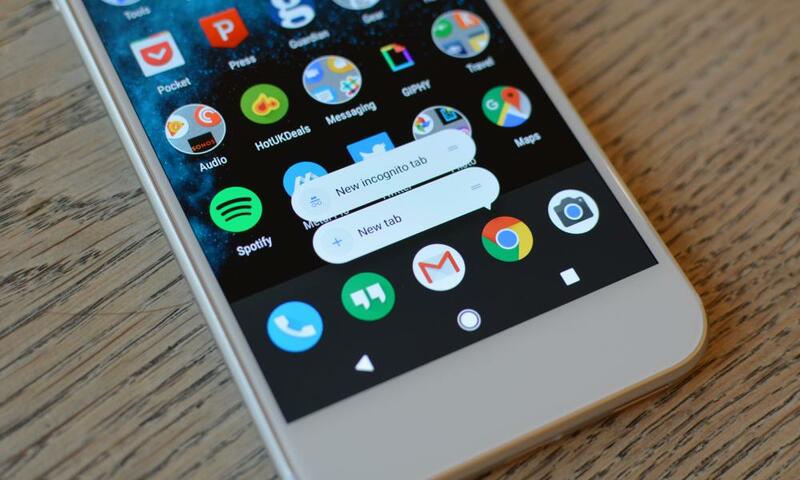 The Pixel also has a new version of Google’s launcher – previously known as the Google Now launcher – which shipped with Nexus devices and is available for other Android smartphones and tablets on the Play Store. The Pixel’s launcher has a new-look Google search bar and home screen weather widget, neither of which can be removed limiting vertical icon space to four rows, and now hides the app drawer behind a swipe up from the five-icon-wide tray at the bottom of the screen. The biggest functional change for the home screen, however, is the new launcher shortcuts, which mirror Apple’s 3D touch gestures on iOS, but without the need for a pressure-sensitive screen. Tapping and holding an app icon pops up a list of quick actions, from phone calls to specific people to recent text messages, options to jump straight to a selfie or video in the camera app, and other similar functions. The launcher shortcuts can also be dragged from the main app to quick buttons on the home screen, meaning a button for jumping straight to the front-facing camera for a selfie can be placed anywhere on the home screen for one-tap access. Most of Google’s apps support the new feature, while some third-party apps, including Evernote will soon be updated to add quick actions of their own. How much utility you get out of them will depend on which apps you use, but being able to pin launcher actions as a separate icon to the home screen could be useful for some commonly used functions. Google’s also included a collection of attractive live wallpapers that change in real time while the screen is on. A collection of Google Earth shots pan across a view of fields in Kent or the Pantheon in Rome, while live data wallpapers display battery charge levels, the current weather conditions, or the time. There’s also the option to cycle through a collection of still images on a daily basis for various different topics such as cityscapes, aerial shots, landscapes and other themes. Android 7.1 also now has a built-in night mode, which aims to reduce blue tones from the display to limit the amount of blue light shone into the eyes during the hours of darkness. Doing so is meant to help smartphone users sleep by stopping the blue wavelengths of light stimulating cells in our eyes and waking us up. Third-party apps have been doing similar for a while and Apple added a night mode to iOS 9.3, so it’s not a new feature, but it is good to see built into Android. The most hyped feature of Google’s new version of Android Google Assistant, formerly known as Google Now. The biggest difference is now it will talk back to you and is much more focused on conversational voice interaction. You ask a question, it answers but keeps listening for a follow-up command or further questions about the subject. 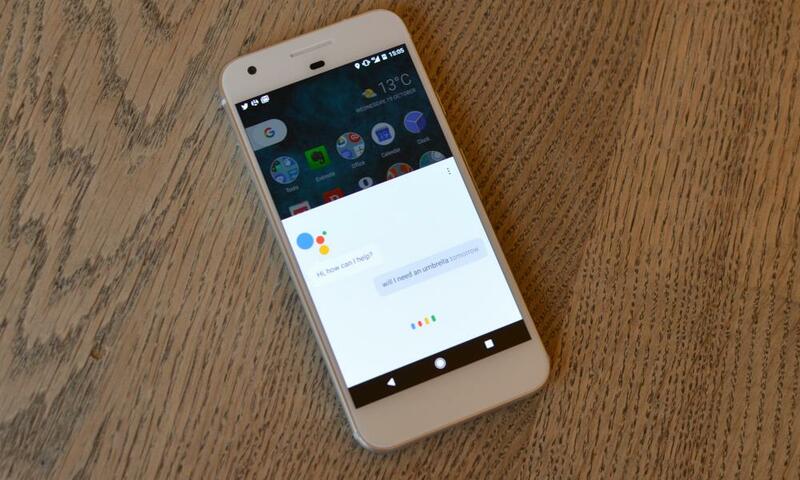 Activated by either a long press on the home button or by saying “OK, Google”, Assistant can perform quick tasks such as setting timers, sending messages and playing music, fire up searches and other standard virtual-assistant functions, but it is also the most personal Google assistant to date. It will actively learn from your preferences, either by your searches or by your explicit command. For users or any other Android smartphone, Assistant is essentially a slightly better Google Now with a much clearer name, but it’s also one of the most capable voice assistants available and makes Apple’s Siri look a bit behind the times. Google’s voice recognition is top notch, and it has access to so much more data it’s more surprising when it can’t answer a fact-based question than when it can. It will apparently eventually be able to interact with third-party apps and services allowing users to simply say “OK, Google, order me an Uber” or similar, but they’re not available yet. You can also only directly interact with Assistant via voice from the launcher, but you can type text into the Google search bar or in Allo. It seemed an odd omission, as there were times when I wanted to silently ask it a question using the keyboard. To get the most out of it you must give your digital life over to Google and that certainly has some privacy implications – it knows where you are, what you’re searching for, can read what’s on the screen and collates all that data – but that isn’t a new phenomenon and is simply a progression of what Google’s been doing for the last couple of years on Android. Whether that matters to you depends on whether you trust Google. You do not have to use Assistant, it can be turned off. The real promise of Google Assistant, however, is that no matter where you interact with it, it’s the same assistant. For UK users the Pixel phone and Google’s Allo app are the only two places Assistant is available for active interaction, but US users will also be able to buy Google Home, an Amazon Echo competitor. Home will also come to the UK next year. Google Assistant isn’t a massive step forward in the AI wars, but it’s a solid start for Google in the next phase of conversational assistants. If you’re expecting it to know and be able to do everything about the phone, your life and other things a flesh-and-blood personal assistant might, you’ll be disappointed. Last year’s Google Nexus phones had brilliant fingerprint scanners on the back. The Pixel continues to use the same winning formula: it’s fast, accurate and can now be used to bring down the notification shade with a swipe on the pad – something other manufacturers including Huawei have been doing for a while. The Pixel Imprint scanner is arguably the best in the business, but if you use your phone on a desk, you can’t activate it without picking it up. The Pixel’s 12.3-megapixel camera is cracking. Camera rating firm DxoMark ranked it slightly above all other smartphone cameras and it’s clear why, as it’s very difficult to take a rubbish photo with it. In good light you get crisp, well judged photos with an excellent amount of fine detail. Google’s HDR+ feature is particularly good, producing some of the best high dynamic range photos I’ve seen and without the image blur that can creep in with other systems. Low and poor light performance is also excellent, despite the camera not having optical image stabilisation, while the Google Camera app now has some much needed extra features, including the ability to switch the automatic white balance with the tap of a button and a golden ratio grid, which helps you frame your photos. The camera struggled to correctly identify office fluorescent lighting, however, leaving images with a yellow tint. Selecting the fluorescent lighting option corrected it. Full manual control isn’t included – you’ll need a third-party app for that – but it has most of what many will need on a day to day basis. Shooting burst photos by holding down the shutter button even creates a gif out of the resulting stills. The 8-megapixel selfie camera is also very good, producing images with good depth and colour. Most selfie cameras are either soft and lack detail or hard and capture every wrinkle and pore on the face, but the Pixel’s treads that fine line with soft, flattering focus without losing too much detail. 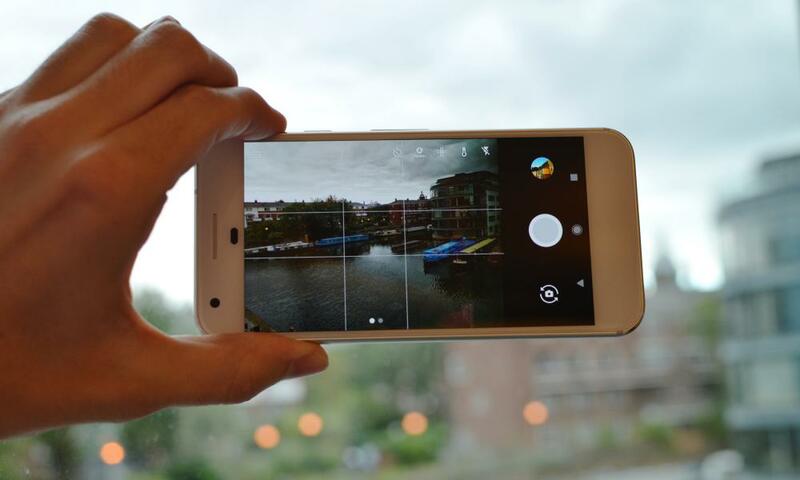 The Pixel costs £599 with 32GB of storage or £699 with 128GB of storage in black or silver. It is also available in blue in the US. For comparison, Apple’s iPhone 7 costs £599 with 32GB of storage, Samsung’s Galaxy S7 costs around £500, the Huawei P9 costs £449 and the OnePlus 3 costs £329. iPhone 7 review: how good can a phone be if the battery doesn’t last even a day?